This is to bring to your kind information certain recent achievements of our students. - S. Chelvanithilan has gone to Oxford University, UK with Scholarship, to pursue higher studies in Physics. - J. J. Mathavan has gone to Jaipur University in Rajasthan, India to do Aeronautical engineering with Indian Government Scholarship. - C. Medon Elvis has obtained a Bronze Medal for Under 19, 110 metres Hurdles at All Island Schools Athletic Championship held in Hambantota. It is after 32 years, that a Patrician has secured a medel at All Island Athletic Meet. - W. C. L. Livington has got Colours Award for Javelin Throw Under 19. A. Ajanthan is in the Sri LankaUnder 19 Soccer team that has gone to Iran to participate in the Under 19 Asian Soccer Tournament. A. RishanthTuder is in the Murali Cup Selected Team that toured Malaysia organized by Foundation of Goodness and ICC. Our Under 7 Mini Tennis Team (Red Ball) emerged Runners up, while the Under 8 (Orange Ball) became 2nd Runners up at the Bartleet All Island Tennis 10s Inter School Tournament–2012. We thank all our old boys for their valuable support and encouragement. 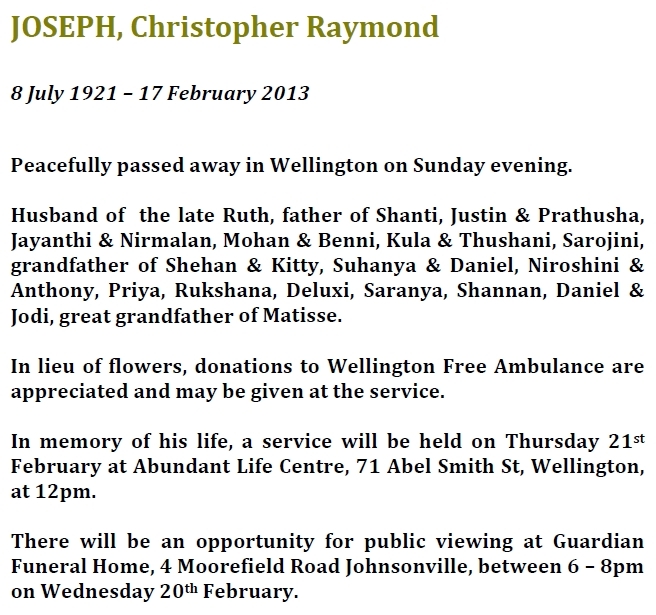 Joseph Mariathasan Thiruchelvam passed away on 22nd April 2012, with his family by his side in Harrow, England. 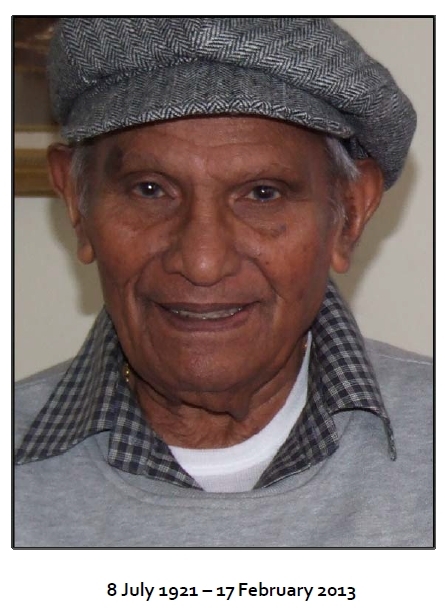 He was born on the 1st September 1934, in Jaffna Sri Lanka. His father was B.S. Thiruchelvam and his mother was Sabina Thiruchelvam (nee Martyn). He is a former student of St Patrick’s College, Jaffna. He was married to Mary Josephine Pauline Charles on 25th January 1967 and moved to London in 1968. He had 2 children, Sharon Sushma Thiruchelvam and Timothy Rajiv Thiruchelvam. He is survived by his wife Pauline, his two children and their spouses and 4 grandchildren. 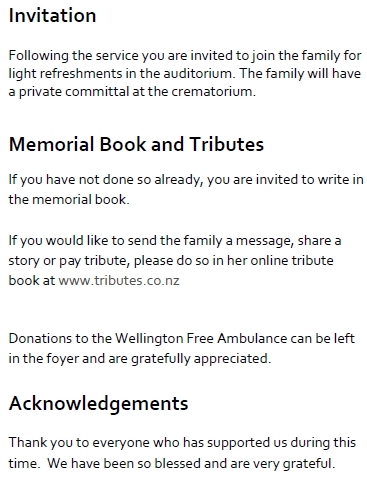 Anyone wishing to send flowers, please send to the Funeral Home, the address being given above. To book your tickets, please contact. 299, GALLE ROAD, COLOMBO 3. Retna was born in Jaffna and grew up as the younger son of Mr. A. J. Selvadurai and Ruby. Head Master Selvadurai as he was known was a strict disciplinarian, delivering the six juicy cuts, not only the sentence that he had passed but also enforcing the six juicy cuts as ordered by Fr. Long the renowned disciplinarian. Discipline was in Retna’s blood. Retna’s parents had very different backgrounds. 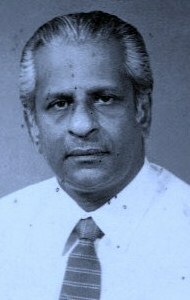 His father had a village background hailing from Uduvil. He was also form a Hindu background. His mother considered herself to be part of the elite of Jaffna town. This caused amusement to Retna as he recounted that most of the so called elites originated from the surrounding villages and islands and preferred to conveniently ignore or even deny their background. Secretly I think he enjoyed being of the elite! Regrettably it has not been possible to get much further information of his very early days and background. Like the children of all the elite from Jaffna town Retna started his schooling at Holy Family convent Jaffna and moved to St. Patrick’s College, two of the leading Catholic institutions of that time. Retna imbibed the Irish background of Holy Family Convent and was said to be and enjoyed being a favourite of the Irish nuns. His move to SPC and the training and education there had an immense influence on his development and were palpable throughout his entire life. He greatly admired Fr. Long, the Rector during his time at SPC, an admiration he maintained throughout his life, taking every opportunity to refer to what Fr. Long and SPC meant to him. He was admitted to St. Joseph’s College to study for his University entrance examination with a view to entering the University. 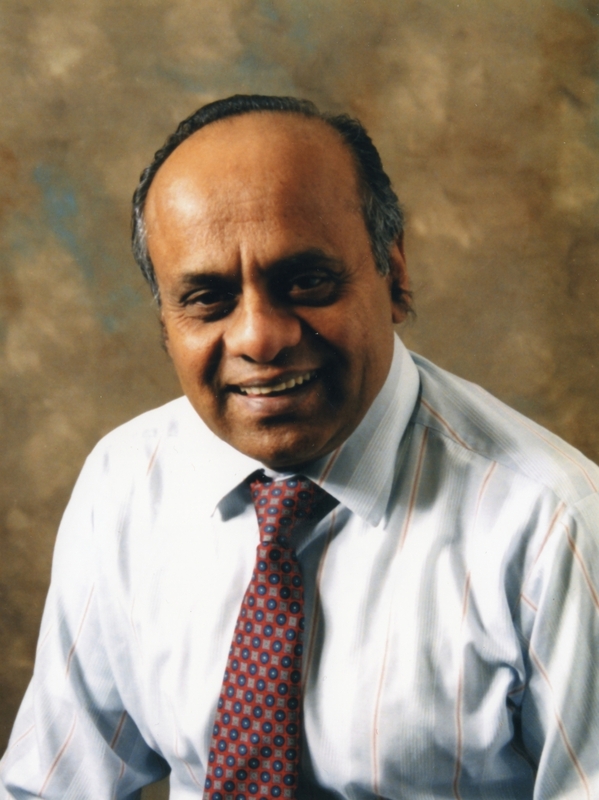 He however developed an interest in Radiography and trained and worked in Sri Lanka before he moved to newer pastures in the UK, largely to be able to educate his two children in England. Tragedy struck the family and he lost his younger son Niranjan in 1976 at the tender age of thirteen under tragic circumstances. Retna and Patricia had high hopes for his future. He was indeed a bright lad. Retna and his wife Patricia were shattered by this irreparable loss, but by the grace of God continued their lives, bringing up their elder son in the fear of the Lord with renewed faith and confidence. An unreserved statement of trust in God and acceptance of His Divine will much admired by those who witnessed it. He proceeded with his career as a radiographer at St. Peter’s Chertsey Hospital with great success, being appointed superintendent radiographer in the A&E department: a demanding job. Selva to his colleagues at work, Francis to others, Patrick to yet others, to the Patricians and his Sri Lankan friends he was Retna. Does it matter? Don’t they say a rose with another name smells as sweet? It might sound strange to the readers that it might mean something. Retna was a man of many parts. Tell me his interests and I will tell you the character of the man. In Retna I think we see this cliché in real life. Selva could well have been Selvam, indicating richness or wealth. Selva would not have been rich as in the possession of wealth but he was rich in his efforts. His colleagues at work admired him as a very hard worker, a role model and one for others to emulate. It was not all just about doing hard work either. Whatever he did he did it well and inspired others to do the same. Little wonder he was appointed superintendent radiographer in one of the most difficult units of a hospital. His colleagues felt it was a rich experience working with him. Patrick was how he was known in his church where he rendered yeoman service. With his strong religious beliefs and his exemplary religious life and those great traditions he had gained from SPC, Patrick seems to be a natural choice to reflect this face of Retna. I would not be surprised knowing his devotion to SPC that would have been his preference too. Retna, being Retna to his Patrician friends and his close associates needs little elaboration from me. It is often the tradition among Sri Lankans to abbreviate ones name. This is often for convenience (Sri Lankan names often being long. Hence Retanarajah is abbreviated to Retna) but often this abbreviation is a reflection of friendship familiarity and ‘fondness’. Who would have any doubt that Retna reflected just that? Mild mannered, gently spoken, and congenial (not been verified or authorized by Patricia!!!). He had that endearing quality of being acceptable to all his friends. This led him to be held in great respect by the young and the old. Well Francis, who called him Francis? I am told that for some reason those who cared for him in his illness were those who opted for Francis. Well did they see the contemplative side of him? Ever since he fell ill Retna became quiet and became a man of few words. Wondering whether anyone had associated names and individual’s characteristics I turned to Google. A professor had named this association mystical nominalism, whether pejoratively said or he was genuine I do not know. But from one case study I add to his theory! Well I have learnt something writing about my friend. I hope you agree that there might be something in it. Retna’s great love of St. Patrick’s college and the alumni association are legendary. The alumni association was formed in March 1983 when Mr. Cyril Lawrence, the President of the Colombo OBA visited London in March 1983. It was formed to organise the celebrations when Bishop Kingsley Swampillai visited London following his consecration in Rome. I was elected the first President and Retna was elected the Vice President. Retna’s contribution went from strength to strength from there on. He was elected President at the AGM held on the 9th of December 1995 and served till December 1997. As a committee member during his presidency it was an experience to see him in action, insisting on punctuality, regular attendance and active participation by all committee members. It was a period of active growth for the association. His record keeping was meticulous. Every activity was faithfully recorded. The brief case that accompanied him was a symbol of his attention to every detail. He relished the opportunity to have had the privilege to celebrate the centenary of his idol Fr. Long with the publication of a souvenir in Fr. Long’s honour. A further highlight of his presidency was the organisation of a pilgrimage as he liked to call it to Fr. Long’s grave in Inchicore, Dublin which was also combined with a visit to Our Lady’s shrine at Knock. During his tenure he also acted as the chairmen of the Fr. Long Building Fund steering committee with the opening of a ring fenced account in London. In 2006 he received the ultimate accolade that is given by the alumni association and was invited to be the chief guest at the annual dinner dance. It raises envy in my heart. Not a hint of course!! On the occasion that could be regarded as the beginning of his illness, Patricia told us he was going for the annual dinner dance early to give a helping hand. Providentially instead of making straight for the venue he decided to purchase something for the function and made his way to the garden centre. There he collapsed for the first time and was admitted to hospital. Providentially he was not in the tube. Well Retna always felt that he was fortunate that Dr. Anton Sandrasagara another fanatically loyal old boy working at St. Peter’s Chertsey was able to look after him in a special way during his visits and during his many admissions to the hospital. Retna gradually faded away and I had the opportunity to see him two days before he passed away. It was a merciful release. The old boys have planned a grand farewell for him. He will have the Patrician flag draped over the coffin as Retna is carried out of St. Dustan’s Church in Woking: a church in which he was sacristan, altar server and possibly seen as the assistant parish priest! Retna can be sure that his friends in the alumni association are grateful for all his contributions. He can rest assured that we would follow his footprints. Let me end on a very personal note. I would not be in the UK writing this if not for a very special intervention by Retna. I had to delay my final medical examination. Little did I know that delayed sitting deprives one of being awarded honours unless requested for. Retna learnt from his friend who was the registrar of the medical college that I had not requested to be recognized for honours. He got me to do the needful. The rest is history. I hope we will agree that Retna was never wanting in effort in whatever he undertook. The success of it he left in God’s hand. And that which I have done may He within Himself make pure: Alfred Tennyson. Written on behalf of the SPC alumni association UK. 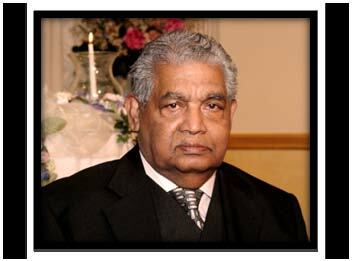 Mr. Casimir Francis Xavier Passed away on Feb 4th 2012 peacefully at age of 79, beloved husband of Bernadette (Baby, Canada), son of late Mr. & Mrs. Casimir (Sillali), son-in-law of late Mr. & Mrs. Joseph (Temple road Jaffna), Loving father of Nirmalan (UK), Niranjan (Canada), Nisha (Canada), and Niluxmi (Australia), Dear father-in-law of Suhanja, Vasanthy, Sean and Jerry. Proud grandfather of Yalini, Yathevi, Cheran, Saranngan, Shanez, Sharleen, Sean Junior, Nishika and Jeremy. Loving brother of, the late Mrs. Ponnamma Sountharam, the late Mrs. Sellamma Sountharam, Susaipillai Casimir, the late Mrs. Navamani Gabirealpillai, the late Mr. Nicholapillai Casimir, Nesamani Sellaiah, Richenmani Joseph, Rev. Sr. Rita, Ponmani Jeyanayagam and Navaratnam Casimir. On Saturday Feb 11th 2012 at 10.30 AM.